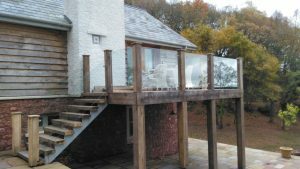 Installation : Glass balustrading to outside of property. 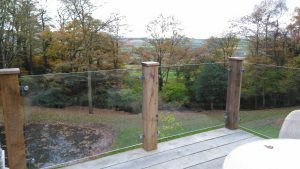 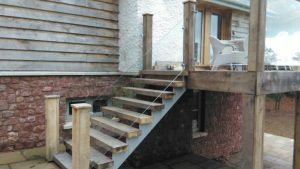 We were asked to survey, supply and glaze some glass balustrading at a property in Taunton, Somerset in November 2016. 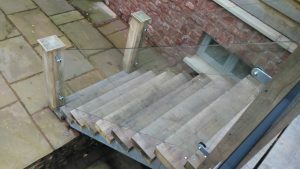 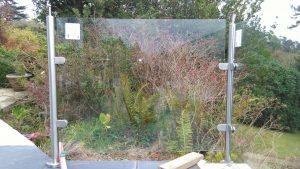 The glass used was 12mm clear toughened with polished edges. 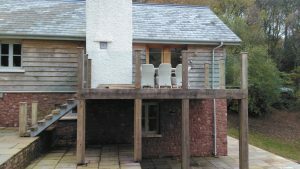 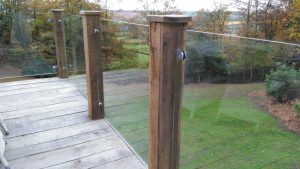 The glazing clamps and fixings supplied and fitted were stainless steel. 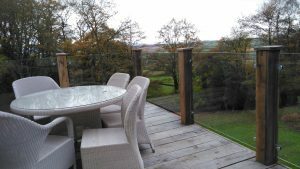 The balustrading finished the project off fantastically, the clients can now use their outdoor dining space in knowledge the glass gives not only a safe barrier around the edge of their veranda but light can be let through and the garden and views are not lost.